Bounce, splash, hit, serve, dunk, slam. Take it up a notch with us. No matter how hard you play, you’re always at the top of your game. Whether you are an experienced swimmer or are just getting comfortable in the water, we have programs for all ages and skill levels! Featuring six (6) beautiful regulation size indoor courts, players of all ages and skill levels are welcome. 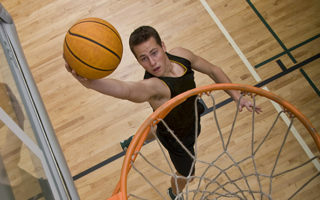 Our indoor basketball courts are available for free play, pick-up and organized games. From day camps to school break camps to the ULTIMATE sports camps offered throughout the summer, we are your kids destination for active FUN! 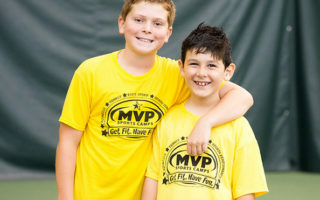 MVP offers a variety of American Red Cross courses throughout the year including Lifeguard Training, Adult & Pediatric CPR/First Aid/AED Training and more! Our AWESOME Outdoor Aquatic Center features a two Twisty Slides, Zero Entry Pool, Cool Spray Playground, Kid's Play Structure, Outdoor Concessions PLUS our WIBIT AQUATRACK!